Epic have worked closely with Apple, AMD, Nvidia, and Intel to integrate Metal for Mac and in 4.11 it replaces OpenGL as the primary graphics API for OS X El Capitan. The 4.11 release provides the same rendering features across Metal and OpenGL by default. Metal provides a streamlined, low-overhead API with precompiled shaders and efficient multi-threading support to maximise the processing power of the GPU. We will continue to improve and extend support for Mac Metal and look for ways to leverage new API features in upcoming versions of the engine. There is also experimental Metal support for Shader Model 5 features, try it out using the "-metalsm5" command-line switch. While of more importance to developers I can't help but be more hopeful, as a gamer, that we'll keep getting a nice stream of titles for our favorite OS that many of us will never complete. Those are the news I love! As long as they maintain their relunctance to update OpenGL to modern standards, it will happen naturally. And make iOS ports easier. And make iOS ports easier. Do we really need more of these lousy iOS games on the Mac? Given the thousands and thousands of games released for iOS, some are bound to be good! There are good iOS games to be sure and I have noticed an increasing number of significant well known titles in OS X and Windows making their way to iOS as well. I like the sound of this news in reverse really, where a Metal standard may make it more likely for work done by Aspyr and Feral among many others to find its way to iOS. I noticed and voted in a poll Aspyr has up on their site regarding a potential KOTOR II port to iOS that I'd love to see myself. I've recently spent quite a lot of time surveying the iOS gaming landscape and while there is a staggering amount of trash in world approaching 3 million apps in total (not all games of course) there most definitely are a good amount of gems. I was pleasantly surprised by what I found. I was doing this because I just got a brand new 9.7" iPad Pro I am more than a little excited about. So, this ain't the iOS area I know but I thought it worth mentioning that a standard across the ecosystem for graphics sure appeals to me given my newfound great interest in all things iOS. I'd love to see Mac titles that are doable on the platform come to iOS because Metal facilitates the process aside of other development considerations such as UI, controls, hardware limitations, etc. Likewise, I do believe a lot of goodness from iOS would be welcome on OS X. The problem will be the flood of trash that no doubt will also swamp the Mac App Store along with it. Not that trash on the Mac App Store is anything new either but unleashing iOS games and apps there even (photo editing multitudes) would be like a tsunami rolling in. I am slowly coming around to the idea of an iPad completely replacing my laptop. I don't think I can ever tear myself away from having a desktop but this air 2 with a keyboard, and split screen. I can get some work done on it. If it had borderlands I would be set. Thinking about grabbing an MFI controller to see how stuff like Final Fantasy IX plays. 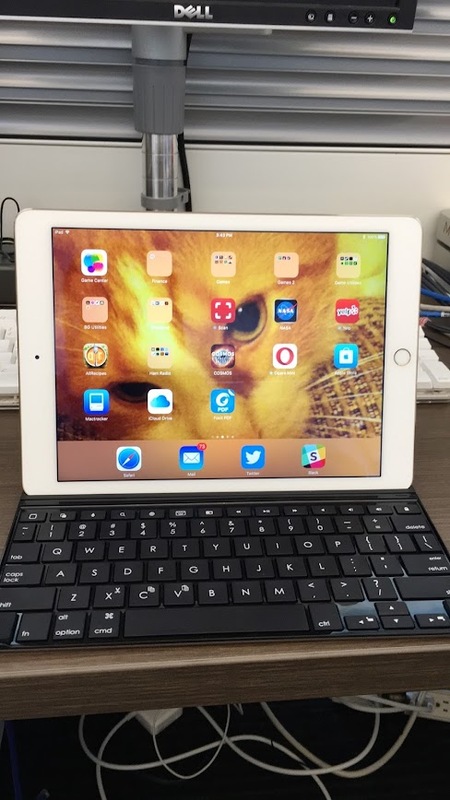 I love my neat little MacBook, but I've been impressed by the big iPad Pro. iA Writer, Things, Slack and other stuff run well on iOS -- I might be tempted to switch someday. I am sure I am going to enjoy using my iPad for a lot of stuff but I've already figured out I still want a desktop for certain things that are beyond its capabilities. For the time being I've got plenty to play with but I am mulling over the options there. Dude, you REALLY need to stop the random multiquoting! Oh, it's just a few quotes. Besides, I only got in on that last one as 4th (last place) and I'd have been left out otherwise! ::sob sniff:: He didn't quote me at all! What am I? Chopped liver? ... mmmmmmmmmmmmmm chopped liver Friskies. Going to the store, BRB. bruh it says you have an account on there already. I kan see your name. Really? Me? I don't know why I would have an account on there, I don't recall creating one and I don't have a need to replace Skype when Skype works swell for me. Probably the whiskey headshot I must have received that night, if you don't remember either then it was a "Multi Kill!"